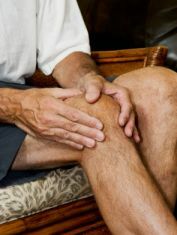 Arthritis is the inflammation of a joint that is usually accompanied by pain and often may lead to deformity. Physical therapists play important roles in the treatment of patients affected by arthritis. The primary goals of therapy include maintaining or improving joint mobility and muscular strength; protecting affected joints from additional irritation, structural deterioration, or deformity; enhancing functional capacity; and managing analgesia and pain. There are a variety of ways to treat arthritis and manage its symptoms, including Paraffin baths, joint mobilization, thermotherapy, therapeutic massage and therapeutic exercises. Your therapist will determine the best approach to your treatment based on your specific condition.